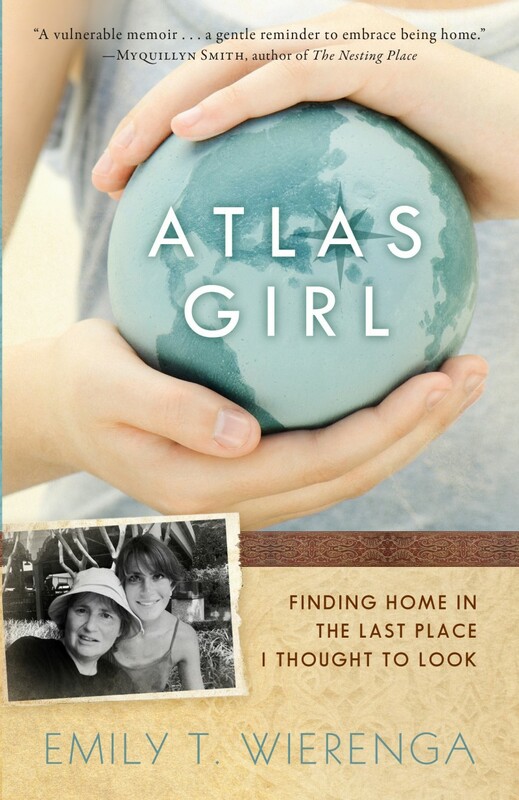 Atlas Girl – Finding Home in the Last Place I Thought to Look by Emily T. Wierenga is the first memoir I’ve read in years, and I didn’t quite know what to expect at first. Emily writes in an organized manner with chapter headings and well-known quotes that give you an idea of what’s coming. I found myself relating to Emily, who is a pastor’s daughter and who’s caring for her mother with brain cancer. My father was a pastor, so I could understand Emily’s pain of feeling like his best was sometimes saved for the church people, and that the family, at times, had to go along with his latest ministry strategy. My mother often felt the isolation and loneliness that her mother felt. My father also had brain tumors, like her mother, and I spent a great deal of time caring for him until his death in 2002. Emily draws you into her life, from childhood and beyond. Her life has been filled with far more travels and adventure…and pain…than I’ve ever felt, but when reading this, I felt her pain. She suffered from anorexia as a child and left home at eighteen to start over. She married and lived in various places until returning home to care for her mother. It is there that she discovers much of what she’s been searching for her entire life. Through this memoir, Emily attempts to reach out to those who have struggles with issues like her own. If you enjoy reading about someone’s life experiences, or know of someone who struggles with relational issues, this book should be at the top of your list. I received this book from the publisher in exchange for a fair review.